The student ministry at First Baptist is a place of growth, worship, discipleship, and fellowship. Our students live and learn alongside each other while diving into Scripture in Sunday School and during Wednesday night programming and special events. If you are not already plugged in, we want YOU to be a part! Click on the respective ministry pages below for more information and see the announcements below for up-and-coming activities. For more information about the Holiday World trip, what to wear, or park rules, please click HERE. Get your cell-phone out, enter the number, text the message, and BAM...you'll start getting FBC Student Ministry messages and updates! We also want you to follow us on SOCIAL MEDIA! Studying God's Word is perhaps the most important part of our ministry. We provide age and gender-specific groups to do this on Sunday mornings at 9:45 am in the Family Life Center. Each group is led by an experienced teacher and students are encouraged to share and ask questions openly. LifeGroups are an integral part of our student ministry. Each Sunday at 5:30 pm students gather in host homes across the county based on their gender and age group. They each go through a Bible study led by two to three college students. This is one of the most beloved times of the week by our students and where significant life change happens. 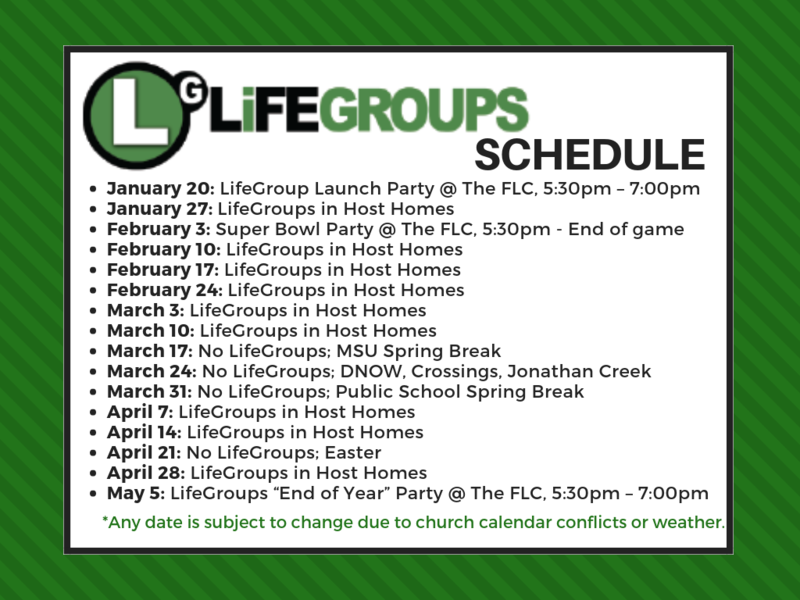 Click here to view this semester's LifeGroups Calendar. Middle and high school worship take place every Wednesday night, and they each have their own unique structure. For more information about each, visit our Middle School Ministry and High School Ministry pages. Every other Tuesday at 6:45 am our students meet at a restaurant, cafe, or coffeeshop around Murray to meet, fellowship with, and encourage fellow believers before school begins. 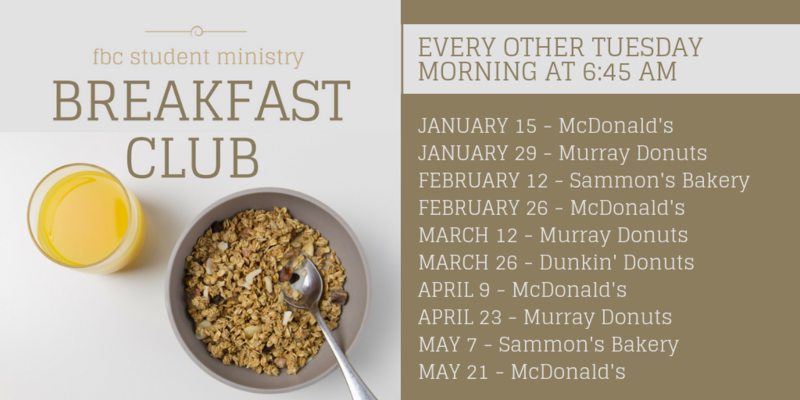 Click here to see the full semester Breakfast Club calendar.